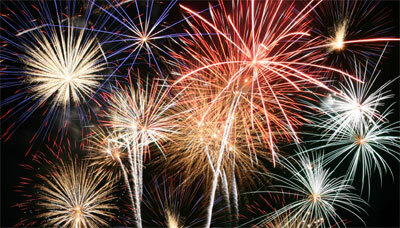 You'll find events with parades, free family activities, plenty of food, live music and spectacular firework displays. So come out and have some family fun on the 4th of July! When the day is over, come stay the night at the Hampton Inn & Suites Aurora, located just off I-88. This is the ideal place to stay for those enjoying a 4th of July event in the Aurora area. The annual 4th of July Parade will take place on Wednesday, July 4th, with step-off at 10 a.m. The City of Aurora will celebrate on Wednesday, July 4th, with free family activities, great food and live music at RiverEdge Park, 360 N. Broadway Avenue, and McCullough Park, Illinois Avenue and Lake Street. At approximately 9:35 p.m., the City of Lights will live up to its name with a pyrotechnic extravaganza illuminating the night sky with a rainbow of colors. Fireworks can be viewed from both locations and along the banks of the river. Don't miss Batavia's Sky Concert! Food vendors start serving at 5:00 p.m. Orange Star, an acoustic pop cover band from Batavia, takes the stage at 6:00 p.m. The Batavia Community Band starts their patriotic music at 8:15 p.m. and finally the fireworks begin at 9:30 p.m. The parade begins at 9:00 a.m. There will be free family activities and a performance by the Yorkville Community Band at Town Square immediately following the parade. Food/drink will be available for purchase. Fireworks will begin at dusk.